Next month, Jake Gyllenhaal will star in an Antoine Fuqua-directed boxing movie entitled Southpaw and very likely garner a great deal of praise for his performance. At one point, however, Detroit’s very own Marshall Mathers was tapped to play that role. Eminem is no stranger to acting; his turn as the lead in 8 Mile — the cinematic version of his life story — earned the rapper universal acclaim from critics. Though he’s no longer appearing on screen in Southpaw, Eminem has made a contribution to the motion picture the way he knows best — through music. 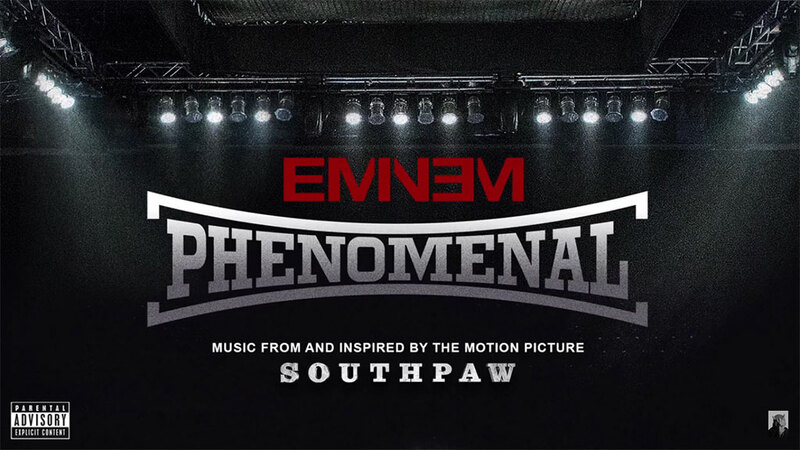 “Phenomenal,” a new single that’s been teased in the film’s trailer as well as Draymond Green’s Beats commercial, has just been shared in full. The track is cut from the same cloth as Em’s latter-day work, with megawatt production and a juggernaut’s force of will breathing down your neck. It will be equally at home in an IMAX theatre as it will in a gym studio as it will in a stadium full of screaming fans.